Despite the fact that Haiti is a poor country, the mobile communications market is well developed there. Moreover, with an average rate of $0.1 per minute and more, they have low rates for local calls. Such conditions contribute to successful earning on termination, provided you have access to a stable Internet. Let's discuss the state of the Internet market in Haiti. Social and economic indicators of the Republic of Haiti are far below the average for Latin America and the Caribbean. In recent years, not only economic and political upheavals have occurred in the country but also natural disasters, such as Hurricane Matthew. This negatively affected the telecommunications market; it remains one of the least developed among the countries of the world (except the mobile sector). In particular, Hurricane Matthew caused damage to Digicel and Natcom equipment worth more than $35 million. Weak fixed-line infrastructure on the one hand, has a negative effect on DSL access services, but on the other hand, stimulates market players to switch to satellite and wireless Internet technologies. The launch of services by the provider Natcom in 2011 significantly improved the situation in the Internet sector. Broadband Internet connection services have become more affordable. Natcom had also created fiber optic networks. At the same time, the Internet penetration in Haiti constitutes 18% (about 2 million), with the majority of connections made via LTE networks. 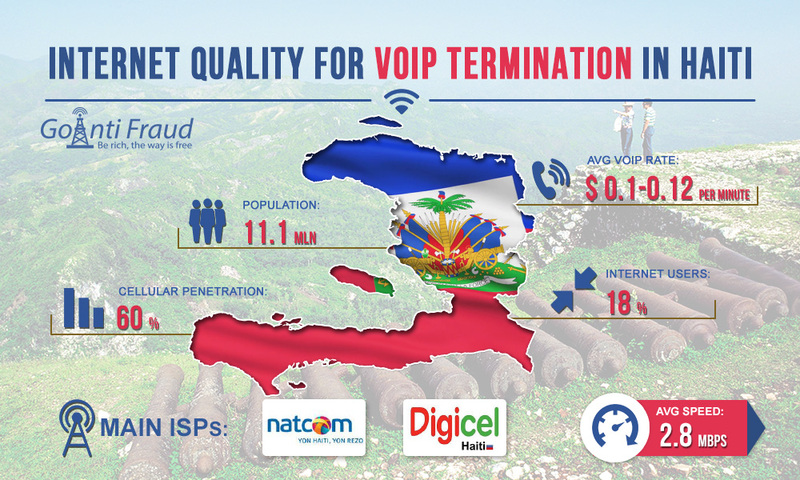 In addition to Natcom, other popular providers in the market are Digicel and Access Haiti. The average speed of Internet access in the country is 2.8 Mbps. This is enough for the smooth operation of topex voip gsm gateway or other VoIP equipment for several hours a day (for the minimum number of channels).